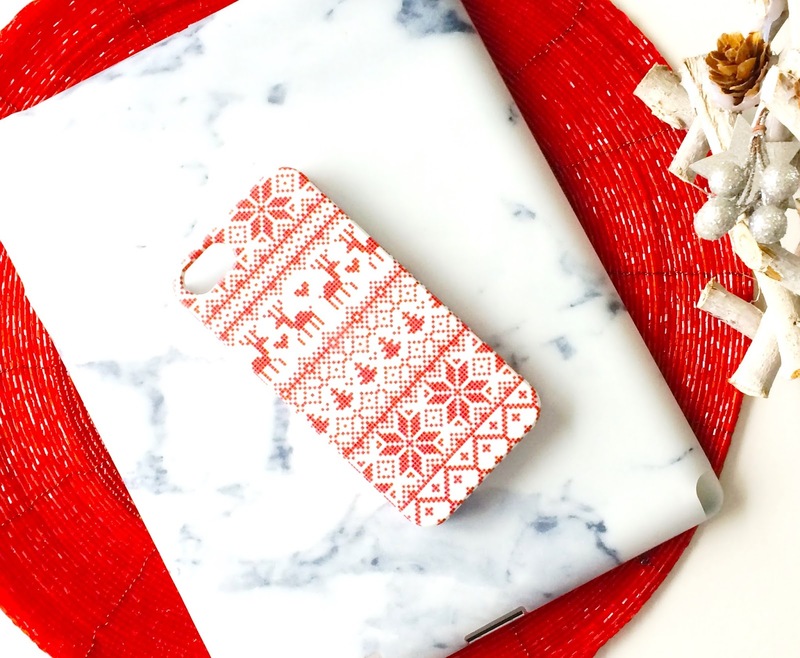 GIVEAWAY & Christmas Gift Idea featuring CaseApp custom iPhone cases with a 20% discount code too! Another day, another gift idea! This time, however, it isn't beauty related and I think it's a gift that would suit people from a variety of ages and both sexes and I also have a 20% discount code for you! You might remember earlier this year that I featured a CaseApp phone cover and also ran a giveaway? Well the lovely people at CaseApp contacted me again with the opportunity to try some more of their products and also the chance for one of you lovely readers to win either a custom design phone case or laptop skin of your choice so keep reading until the end for your chance to win! CaseApp offer a range of laptop skins/ipad skins/phone cases and more, all of which can be customised with quotes/prints or photos of your choice as well as personalised with your initials or name. They come in both matte and glossy finishes and you can choose between extra tough protection or regular cases. The quality is excellent - the one that I have had since April still looks as good as new. This time around, I chose a Christmas case because I'm a Christmas fanatic and am not content with just Christmas jumpers and pyjamas - I need every accessory to be Christmas themed too! I love the Nordic Christmas design but there are other Christmas designs available if this isn't your style. I also received a marble skin for my iPad, which I love - a blogger cliché, I know but I just love anything marble related at the moment! The skin is very easy to apply to the iPad, you literally peel it off (like a sticker) and fix it on to the ipad and then smooth out to ensure there are no bubbles. There are gaps for all of the iPad buttons so it couldn't be easier to apply. It is easy to keep clean and due to the texture, it would be almost impossible to scratch - what's not to love?! You can check out the large range of cases and skins here and if you want to order any for gifts, or for yourself, don't forget to enter the code BEAUTYLYMINXMAS20 at the checkout for a 20% discount. That code is valid until December 18th but I would recommend ordering within the next few days if you want to receive your product before Christmas. Worldwide delivery is available and the products usually arrive within 7 days. 6. You must leave a comment with your Bloglovin/Twitter and Instagram usernames. You can earn extra entries by regramming the giveaway photo and tagging both @beautylymin and @caseapp, by leaving a comment with which product/design you would choose and you will earn more entries by leaving a relevant comment on any of my other posts. The giveaway is open worldwide and the prize will be supplied by CaseApp in the form of a code to the value of £22. The giveaway will end on December 15th at midnight and the winner will be chosen via random.org. I will then contact the winner who will have 48 hours to respond to my mail. If the winner does not respond within 48 hours, they will be disqualified and another winner will be chosen. If you are under 16, you must ask the permission of your parent/guardian to enter as you will have to disclose your address. Neither CaseApp or I are responsible for any customs/fees incurred.